Event organisers, Procam International, have revealed that more professional runners have signed up for the marathon this year. The DHL Corporate Champions category - meant for 3-person teams comprising employees - has 200 teams this time around. The category received around 13,200 entries. 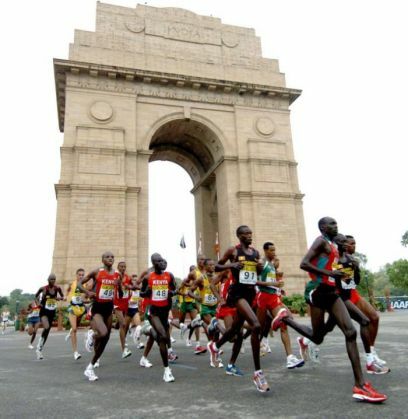 The Great Delhi Run event received about 19,000 entries. The Senior Citizens' run will have 800 participants, while the Champions With Disability event will have 400 participants. Interestingly, this year registrations for the half marathon were closed a month before the scheduled closing date - a reflection of the growing popularity of the marathon. The Times of India quoted Dilip Jayaram, CEO, Procam International as saying, "We are pleased to be spreading the message of health and fitness." Olympic record holder Kenenisa Bekel has been roped in as the ambassador for this year's edition. Bekele has won over 21 Olympic and World Champion titles. In 2013, he beat Mo Farah and Haile Gebrelassie to win the Great North Run.